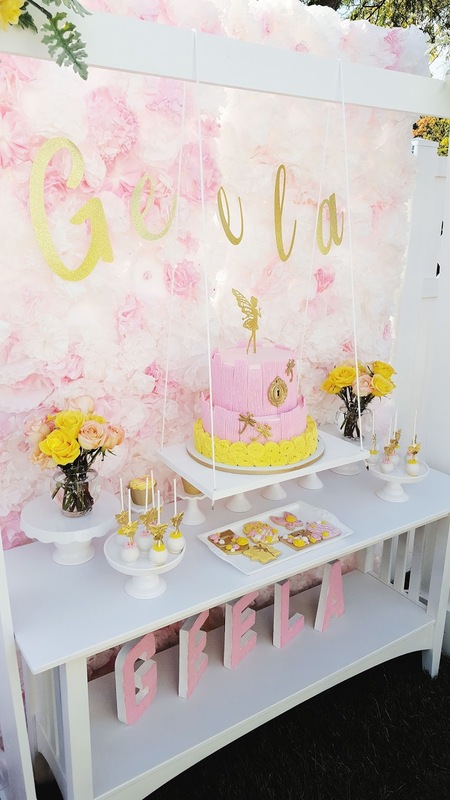 Can we talk about how gorgeous this garden party is that Goldie over at Pretty Twinkle Party styled for her daughter Geela's birthday. 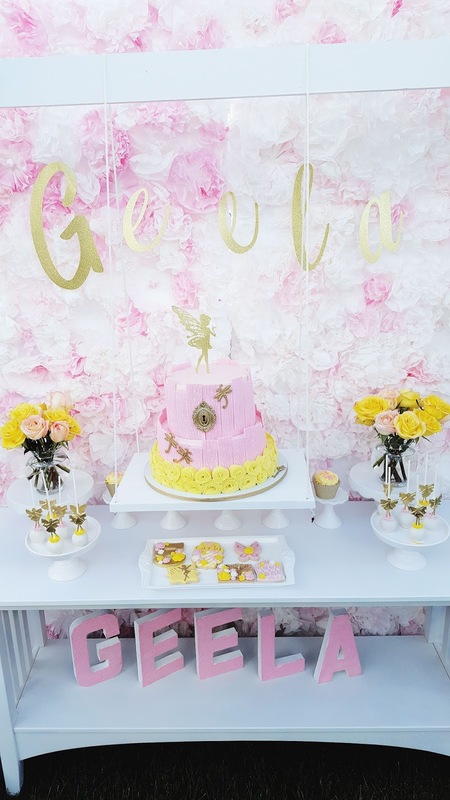 I was so thrilled to be able to collaborate with her and create some custom decorations for her daughters party. Let's take a look. Can we start by saying wow to that amazing cake! Honestly, baking is not my thing but as a stylist I love seeing how amazingly skilled and detailed bakers can get. I mean even those cookies are just perfection. Golda asked me to create a fairy cake topper to top off the cake. I think it came out perfect! right? How adorable is the dome centerpiece! There were fairies everywhere which added the sweetest touch. 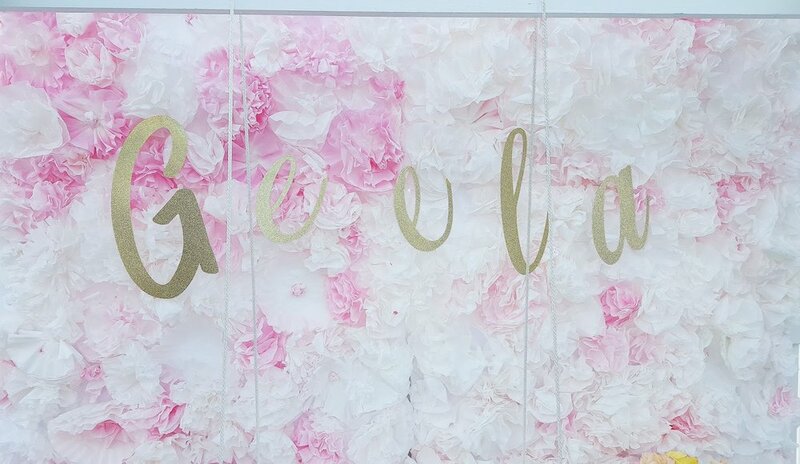 Each letter was cut separately and Golda strung them on the stunning floral backdrop. Don't forget to leave a comment and let me know what you think! It always makes me happy to hear from you.